Our football camps are designed to benefit football players who possess desire to develop the skills necessary to play at a higher level play. conducted in a relaxed but competetive atmosphere, this camp is fast paced, intense and very competitive. On the field our expert coaching staff will instruct players and conduct a wide variety of drills aimed at developing their individual technique. This will be followed by periods of 1 on 1, 7 on 7, and team periods. 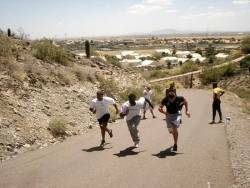 Preceeded by our popular speed camps as a warmup, we hold football camps monthly, usually after our "Speed Sunday" sessions in central Phoenix. 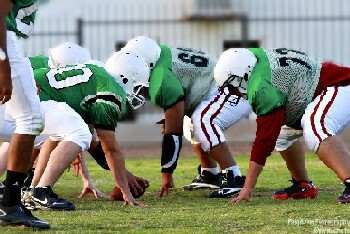 Offensive and Defensive linemen are trained as to enhance their individual skills & techniques by working with Coach Mo and his coaching staff, as well as some of the finest in high school, college and professional coaching. 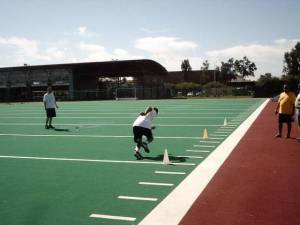 Players will rotate through a series of stations designed as to improve their skils in the trenches. Each session concludes focused instruction and an opportunity to work on both sides of the ball allowing our players to leave with skills to both protect and sack the quarterback! Camp registration will begin 30 minutes prior to the start of the camp. QB’s, WR’s, RB’s, TE’s, LB’s & DB’s enhance individual skills & techniques by working with Coach Mo & his staff as well as some of the finest in youth & high school coaching and periodic special guests. Through a series of drills, 1 on 1 competition, and an intense 7 on 7 competition, players will learn how our skill position players prepare and practice. 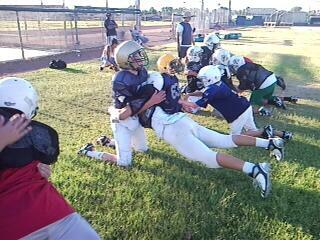 We offer contact & non-contact football camps...Join Us! Basic tackling technique from beginners to the experienced. Especially geared to those new to football but at a pace for experienced athletes to also have a great learning experience. Conducted in a relaxed, but competetive environment, players are taught, step by step, basic form and the most advanced methods in blocking, tackling and football skills training. 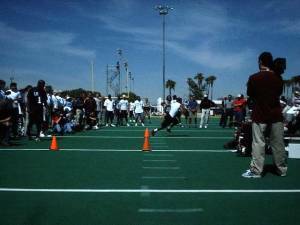 Speed Sunday Contact Camps (777): April & June. 7 on 7 starts at 7pm. 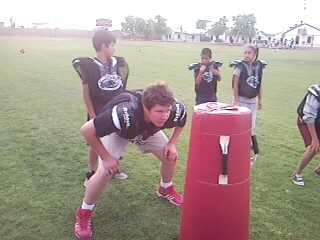 Junior Contact Camps: Tues/Thurs 10 & 12 June at Arthur Hamilton Elementary school in central Phoenix. A great way to get your youth team, league or organization in shape physically & mentally before training camp starts. 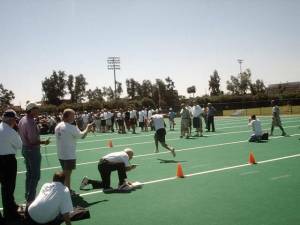 Our "pro combine style camps" and clinics offer athletes a chance to stay in football shape year-und and an opportunity for coaches and players to prepare for upcoming combines & training camps. Contact Coach Mo For more information and to register! This is an overnight camp!!!! 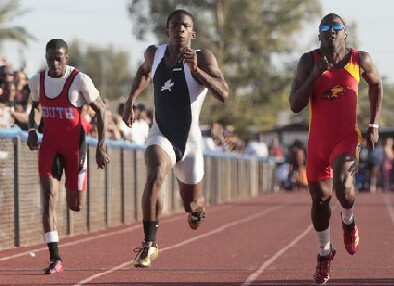 Current speed campers, email coach mo at coach@live.com for details or call (480) 217-0175!!! Designed to develop football players who possess or wish to develop skills necessary to play at the highest level of high school and eventually collegiate football. Please take into consideration that this camp is fast paced, intense and very competitive. 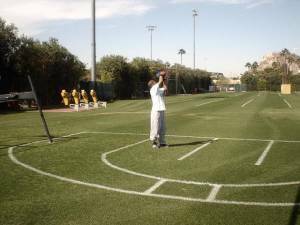 On the field our staff will instruct players and conduct a wide variety of drills aimed at perfecting their individual technique. This will be followed by periods of 1 on 1, 7 on 7, and team periods. 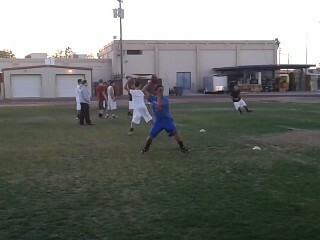 7 on 7 follows our speed camp at 7pm. Contact Coach Mo for details. 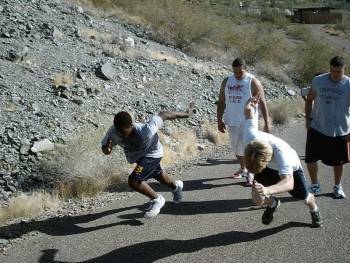 Get ready for your upcoming sports season, team camps, local & national combines! Join us as we build piece by piece, a physical model of speed. Focusing on core strength, technique, first step explosion, form and and agility, we have a well earned reputation for training the finest in athletics from youth to pro. Block I: Last Mid January-Spring Break (Mid March). Block V: September-December & between Thanksgiving & Christmas breaks. .........See below for more camps & clinics!!!!! Teamed up once with The Murphy School District, City Of Phoenix Parks & Recreation (Hermosa Park, Lindo Park, Alkire Park and Coffelt Park) and Phoenix Christian High School, our leagues, camps & clinics are running better than ever!!! Staffed by Murphy teachers/coaches and Parks and recreation employees, players compete in a relaxex/competetive atmosphere staffed by true professionals. 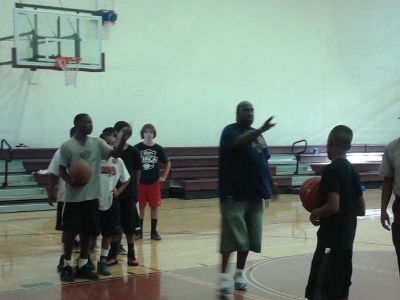 Managed by Coach Mo, our program serves local Schools and neighboring communites. 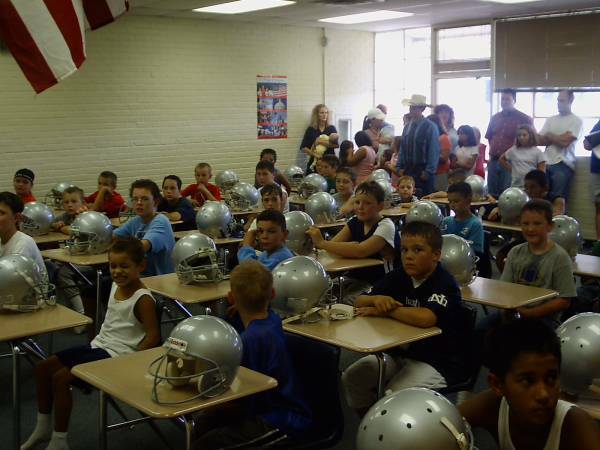 The leagues are "kid" driven with instruction in basic athletic and life skills. Our goal is to provide athletes, parents and coaches a spiritual outlet through sports and to develop within each athlete, strong values and attitudes....and everyone plays! For questions, Contact Coach mo at 480-217-0175 or coachmo@live.com (email).